Interpolis is one of largest insurance companies in the Netherlands. The company has gained wide recognition with its advertising campaign "Interpolis.Crystal clear". Besides financial compensation, Interpolis also offers compensation in kind. In addition to insurance, Interpolis is also known for its special outlook on work. No one at Interpolis has their own fixed place of work. The employees can select a place of work that is best suited to them and to the work that they do. Special areas called ‘club houses’ have also been created at the Interpolis head office, each with its own particular atmosphere. In these club houses the Interpolis employees can combine various daily activities, such as working, consulting, meeting people, relaxing and eating. The flexible working concept led to a cultural transition at Interpolis. That is because flexible working is not just a matter of moving some furniture around. Flexible working must also become embedded in the way you think and act. Employees at Interpolis do not have to clock in. The motto at Interpolis is: as long as the work gets done. Whether that is done from home or at the office is something the employees can decide for themselves. Interpolis is a pioneer of teleworking in the Netherlands. At the moment about 2,500 employees work from home several days a week. 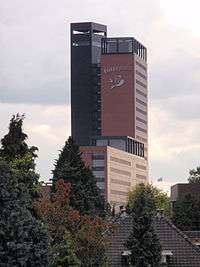 Interpolis came into existence in 1969 after a merger between the life insurance company BTL and four mutual non-life insurance companies: ABTB in Arnhem, LLTB in Roermond, LTB in Leiden and NCB in Tilburg (which were part of the regional class-based organizations of the Katholieke Nederlandse Boeren- en Tuindersbond (KNBTB) (Catholic Dutch farmers and market-gardeners union). Also in 1969 Interpolis, together with the Coöperatieve Centrale Boerenleenbank - a forerunner of the Rabobank -, founded the finance company DLL (formerly known as De Lage Landen). That organization is still a part of the Rabobank. Three other mergers followed: with Hagelunie (1972), De Twaalf Gewesten (1985) and Sterpolis (1993). In 1990 mergers between banks and insurance companies became permitted, after which the Rabobank acquired almost all the shares of Interpolis. The Catholic class-based organizations, united in the KNBTB, retained their controlling interest until 2000. After the merger with Commit Arbo (2000) and the take-over of Relan (2001), Interpolis expanded its insurance activities to include old-age provisions and absenteeism management. In 2005 Interpolis merged with Achmea, part of the European insurance group Eureko. The Rabobank exchanged Interpolis for 37% of the shares in Eureko. Since the merger Interpolis is part of Achmea, the largest insurance group in the Netherlands. This article is issued from Wikipedia - version of the 9/2/2015. The text is available under the Creative Commons Attribution/Share Alike but additional terms may apply for the media files.